When your puppies need a rest from a whirlwind of a day, slip into these pretties. 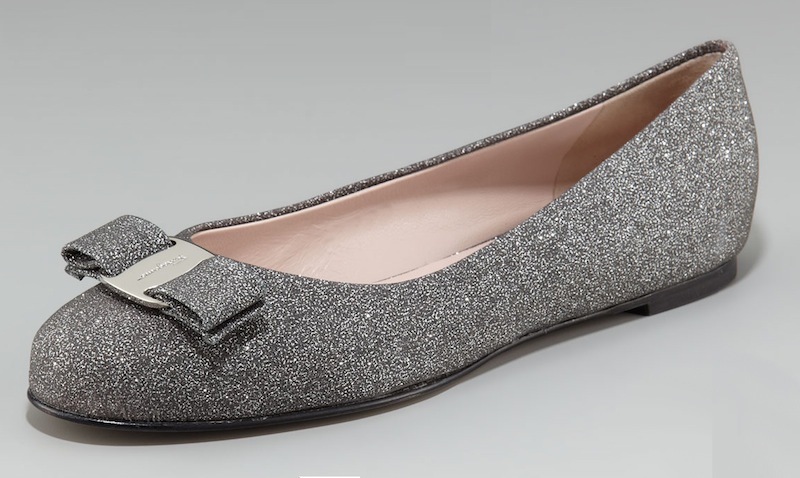 Silver sparkle bow ballet flats fit for any fairy tale princess. I think they would work great as wedding night shoes... Paired with a short dress, these flats would look so chic. Simpy gorgeous, fit for Cinderella really.